BJ CK7530 CNC eszterga - CNC gép, kábelvédő, fúrótömlő; Kutenich Kft. The base version of the CK7530 has a 1 500 mm maximal turning length. 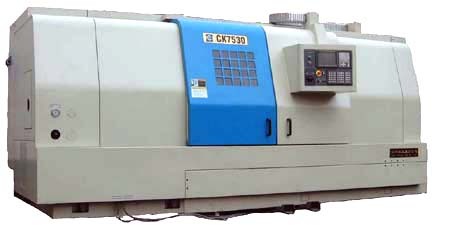 Another version, the CK7530.800, is a machine with 800 mm of maximal turning length.